To make your multi-tasking a fun HP has launched the best tablet priced under Rs 10,000, the all new HP 7 VoiceTab voice calling Android tablet which is available online through Amazon priced at Rs 8,544 in Black and White colour option. HP 7 VoiceTab was initially launched at Rs. 10,990. It will counter Lenovo and Samsung in Tablet market. The all new HP 7 VoiceTab supports Single SIM, Wi-fi, 3G, Bluetooth v4.0 comes with a bigger 6.95 inches 5 point multi-touch screen with a resolution of 1024×600 pixels, 170ppi density with superior wide-angle view perfect for watching movies, playing games, reading e-books and web-browsing. HP 7 VoiceTab is powered by a 1.3GHz, quad-core Mediatek MT8382 processor and Mali-400MP2 GPU with 1GB RAM and runs on Android 4.4 kitkat OS to revolutionize your multi-tasking with blazing speed while 8GB in-built memory and 32GB external memory offers enough space to store your favorite songs, movies, games and apps. HP 7 VoiceTab offers you a 5-MP Rear camera with LED Flash for shooting perfect for low light photography and VGA front camera for video call and selfies packed with a powerful 3,000mAh battery measures 19.2 x 1 x 10.2 cm and weight 127gm. You can also Convert your HP 7 VoiceTab into your personal music system with HP Connected Music that offers free unlimited download of songs for 3 months*. Listen to over 1.5 million songs from various genres such as Bollywood, regional and international music, in CD quality. What’s more, get a chance to win an all expenses paid trip to the concert* in India and abroad, and various other merchandises. 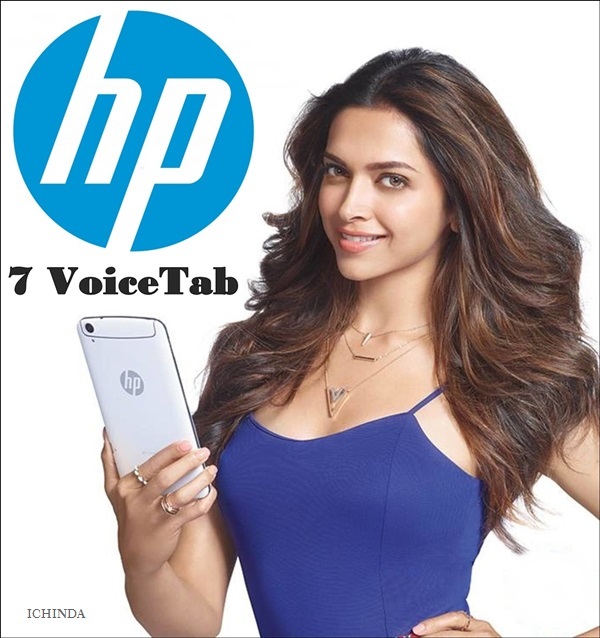 At last few honest word, HP 7 VoiceTab is the best voice calling tablet priced under Rs 10,000. What you think? Please be open to give your view.